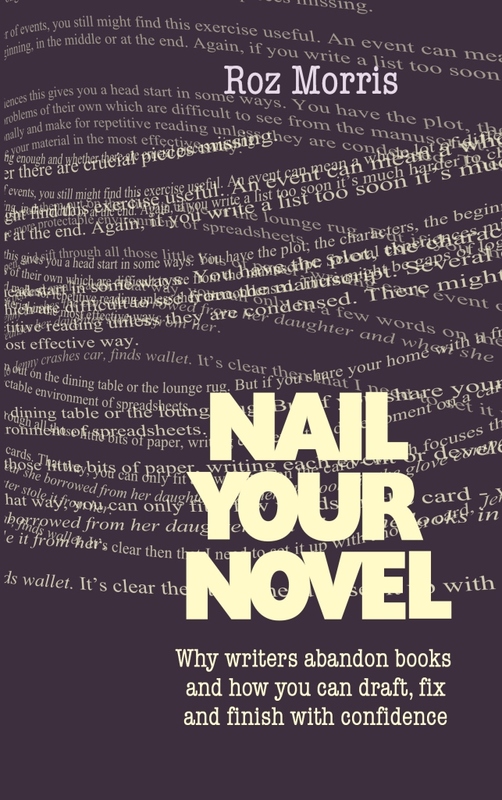 Take a long look at this cover for Nail Your Novel, original flavour. In the next few days, it’s going to have a snazzy new outfit. 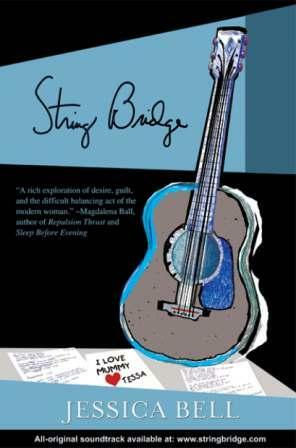 Why did you change the cover of String Bridge? I changed it twice. The first time was because my publisher closed and I had to put the book back on the market myself. The second, because it didn’t seem to attract attention, so I decided to go for a more commercial look. How long had you had the old cover? Both for six months each. Did it boost sales or interest? The latest new cover did. The difference was phenomenal. The first free KDP promo I did with the second cover resulted in 2000 downloads. The second, with the latest cover, resulted in over 20,000 downloads. The latest cover is obviously more attractive to the mass consumer. Were there any other results? Yes. More reviews! Any tips for the changeover? Look at the covers of what’s hot on Amazon in the same genre as your book, and try to replicate the feel. Why did you change? To rebrand my books. 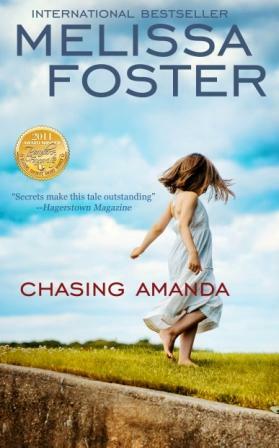 Chasing Amanda sold very well with the previous darker, more mysterious cover, but it occurred to me that while Chasing Amanda is also a novel that tugs at the heart of most parents—-and perhaps it was time to try a cleaner, fresher look, giving readers a visual understanding of that side of the story. It will be interesting to see if the audience changes with the imagery change. How long had you had the previous cover? My first book (published in 2009) had the original cover for almost three years. My second had the original cover for about a year before it was changed. Did the change boost sales or interest? It’s always hard to tell what has caused a bump in sales when you do more than one thing at once. 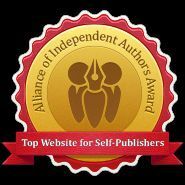 When I recovered my books to self-publish, I also put more promotions into play to promote them. Given that, I’d say the combination helped. Any other results? I believe branding is important and so are professional covers. Traditionally published authors rebrand every few years to breathe new life into old titles. Any tips for the changeover? I’ve changed all my covers and there is little to no impact on sales during the change. The paperback will go off sale for those few days while it’s being approved. The Kindle book doesn’t miss a single day; it’s live while you change. Any time a cover is upgraded, try a promotion that was done in the past, then compare the results. Why did you change the cover of Untying The Knot? I was about to bring out the paperback so decided to reassess. I wanted to make it reminiscent of House Of Silence, which is my big seller. I’ve always assumed it must be the cover that sells that book, so we went for a dramatic sky and interesting building. 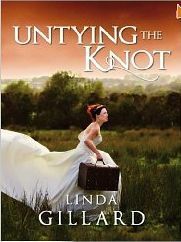 Untying The Knot has had brilliant reviews, but doesn’t sell as well as some of my others. 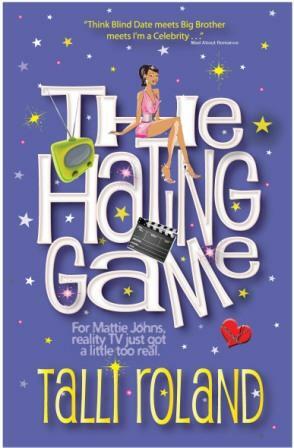 It had a Marmite cover – people loved it or hated it – but most of the feedback was negative, especially from people who’d read the book. They didn’t think it represented the tone or content. Untying The Knot looks at the destructive effects of post-traumatic stress disorder on a marriage, but there are elements of rom-com mixed in with the drama. It was difficult to come up with an image to suggest all that. My original cover was a surreal image of a bride fleeing with a suitcase across a rural landscape but readers thought it suggested chick lit. I realised you need to make sure the cover of a mixed-genre book doesn’t give out a mixed message. That confuses readers and doesn’t work in that crucial thumbnail in ebook stores. Effect on sales etc It’s too early to tell, but the feedback on Facebook suggests people think the new cover is more suitable and more appealing. Why did you change the cover of Backpacked? 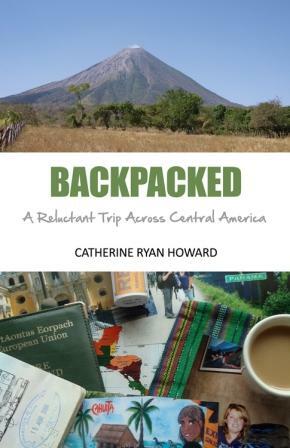 Backpacked was my second travel memoir, and as the first (Mousetrapped) had been so successful, I wanted to keep the brand I’d inadvertently created: scrapbook image on the bottom, nice blue sky picture on the top, white band with title etc through the middle. I have a deep-rooted and somewhat worrying need for things to match, so doing it that way satisfied that requirement as well. But Backpacked didn’t sell as well as I’d hoped, and when I started examining the cover – really examining it – it struck me that this design did nothing for this book (although it had worked for the first). It actually looked dowdy and dull. So I decided to entirely revamp the cover, focusing more on the content of this book instead of how much it did or didn’t match the previous one. Did changing the cover boost sales or interest? Absolutely. And it was immediate. 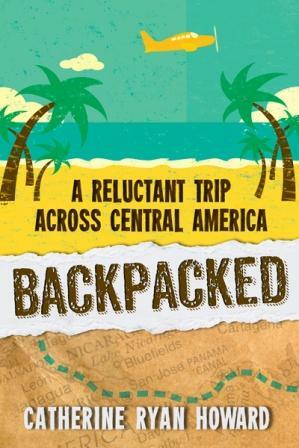 Now, Backpacked is probably my best-reviewed book, and I think that’s because it’s reaching the right readers. By changing the cover I caught their attention, and identified the book as something they’d like to read. It’s been out now since 2011 but continues to sell a steady amount each month. I would say, though, that a cover change does not automatically generate new interest or boost sales. I had a shortlived self-published novel whose cover I changed and although sales were boosted initially, it didn’t make any difference in the long run. A new cover will only work if it’s the cover the book should have had all along. Change alone doesn’t contribute much. Any tips? Very important: unless it’s a new edition (i.e. you’ve changed the content considerably), do not create a new book. I know that technically, if you change the cover, you should create a new edition but the headache is not worth it. I went through a month-long migraine when I brought out a new edition of Mousetrapped in 2011, and boy did I learn my lesson! It is so much easier to go to CreateSpace, Amazon KDP etc. and upload a new cover file than it is to make a whole new book with both editions available at the same time, which is very confusing. You might also affect your rankings and reviews. Simply swap the cover files and keep everything else the same. 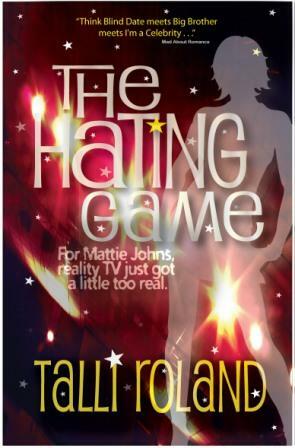 Why did you change the cover of The Hating Game? My publisher and I noticed my book was linked on Amazon with others of a different genre (mainly crime), so we suspected the cover wasn’t reaching the right audience. My novel was firmly chick lit, yet wasn’t being sold with other chick lit. How long had you had the previous cover? We actually had two other covers before the current one. The first we’d had well before the launch of the book, and the second was live for a few weeks. Result? When we finally hit on the right cover, the novel rocketed into the top 100 on Amazon within a week or so. Any tips for the changeover? Explain the reasons, to avoid confusion. Although we only changed the ebook cover; by the time the book was in print, we’d found a cover that worked. 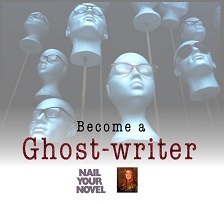 Make sure the new cover addresses the genre you’re targeting, too. Paranormal thriller author MARY MADDOX has an interesting tale of how she changed the cover of her novel Talion because she’d originally used a photo she loved – but readers told her (some rather rudely) that it was too abstract. In the meantime, let’s talk about changing covers. Have you changed any of yours? Are you thinking about it? Are you happy with your covers, and why? Do you have any other questions you’d like to discuss? This entry was posted on June 30, 2013, 5:06 pm and is filed under How to write a book. You can follow any responses to this entry through RSS 2.0. You can leave a response, or trackback from your own site. The power of the cover is astounding! It’s nice to know that changing what you’ve got can help sales, and I appreciated the advice offered. I’ll definitely keep this information close! Isn’t it, Katie? I found it so interesting to compare the befores and afters here. Looking forward to your new cover – comparing and contrasting with the original. Thanks for all the good advice. Great and helpful post once more Roz! Hey Robert, hello! You’re right about the NYN cover and I’ve wanted to do something about it for a while now…. more when everything is ready for blast-off. Very interesting! Certain covers do attract my attention when I (rarely) shop in bookstores. But I search more by genre and author when I’m looking for books online. But I do appreciate a cover that’s appropriate for the book. Thanks, Laurie! It’s interesting how much there is to learn about the language of covers. It’s not enough to have a cover that looks nice, it has to send the right messages. And sing and dance! Hi Consuelo! Not just a new cover but a new title? Gosh, a bold move, but actually I can see why. The Good Cemetery Guide isn’t as strong or emotional a title as Lady Limbo, and the cover isn’t as alluring either. But where to get a designer? 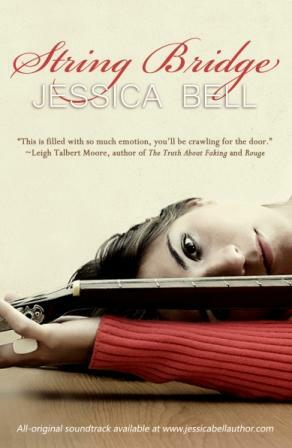 Joni Rodgers seems to get some good designs, and Jessica Bell has got a fantastic design for her upcoming novel. Has anyone else got designers they can recommend? I think this was a really helpful post. Amazing how subtle the differences are and what a difference they make. The psychology of colour and references! Re Consuelo I love ‘The Good Cemetery Guide’ as a title! Hi Philippa! The differences are so interesting, aren’t they? Linda Gillard’s experience with the cover that gave mixed messages is a real cautionary tale for those of us who walk a tightrope between genres. And many of the others illustrate how there can be two completely different – but accurate – ways to present a book through an image. Thanks for featuring me, Roz! I’d like to add that you can find quite reasonably priced photographs at Shutterstock.com. I think I paid $39 for a package of 5 high-resolution downloads. Which is pretty great value. I’ve used many royalty-free photo websites and this is by far the best priced, and has the best selection. They also have short video clips on Shutterstock, too, which I’ve used on many occasion for book trailers. Hi Jessica! I’ve used Shutterstock too. And iStockphoto – which offers a similar kind of deal to Shutterstock. The differences between the old and new covers is amazing. I loved reading the reasons behind the changes. thanks, Melanie! I thought they were fascinating – and what a difference it makes to readers. I’m grateful to everyone who shared their experiences here. Fascinating to read about other authors’ reasons for re-designing. Thanks for featuring me, Roz. I’ve always used images from iStockphoto and Getty. iStock is cheaper but I usually find better images at Getty. The trick is to be able to see the potential of an image. 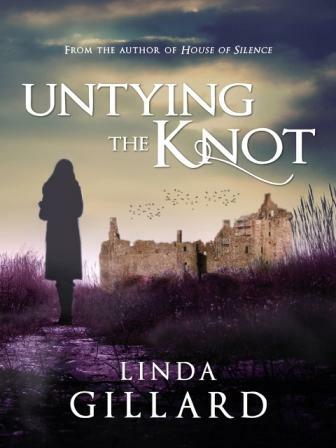 By the time my designer Nicola Coffield has finished manipulating it (or amalagamating several images as she did for the 2nd version of UNTYING THE KNOT), the original image is almost unrecognisable. That’s always a good plan because you don’t want to see books with similar covers because they used the same image. My pleasure, Linda. Your cover change came along at a good time and illustrates such an important point. Thanks for being willing to share the evolution of your novel. I’ve used iStock but hadn’t thought to try Getty. And that’s a very good tip about manipulating the images. Because they’re royalty free, they can be used by anyone. In fact I’ve seen the same images appearing on many different books – and recognised even more when I search the photo libraries. And these aren’t just indie books – traditional publishers look in the same place as we do! Terrific post, Roz. The before and after examples as well as the authors’ comments about the process (and results) drive home the message that covers are crucial to publishing success. Thanks, Michele. I’m fascinated by the art and science of covers, so it was a pleasure to put this together. Oh I certainly will, Karen. As you can probably see, I’m a covers junkie. I can’t imagine when it’s my turn someday to choose a cover and all the decisions to make! Thanks Karen – interesting piece over there from a guy who went back to his old cover! Great idea for a series. I changed the cover for one of my anthologies and while it’s too early to tell how successful it’s been, it’s helped me to ‘pin down’ who I want to market them to, and I think it’s also helped as a ‘rebranding’ of sorts. Definitely worth doing! Thanks, Icy. 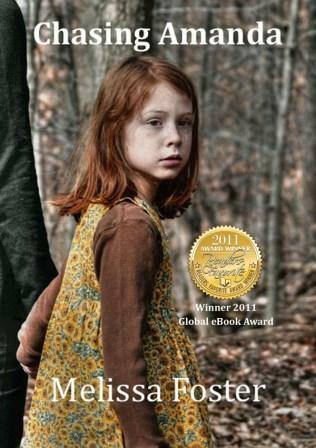 So much of what you do to market the book comes from the cover. I’m waiting to get the cover for Life Form Three before I decide how I’ll present it. Really interesting article! I had a cover designed by a graphic designer for my first book but then used a professional book designer for my second. I then went back and got the design of the first book changed to match the colours and layout of the second – and got a sales spike immediately. I then went the whole hog and used an image of me wearing pretty well THE SAME COLOURS on my Amazon author page, which quite a few people have commented on (hope you don’t mind me linking to that, just to show what I did: http://www.amazon.co.uk/Liz-Broomfield/e/B0091EVXIE/ref=sr_tc_2_0?qid=1372669126&sr=1-2-ent ) and enjoy. It’s all worth it! Thanks, Liz! Your comment about dressing as your book made me smile. I am also guilty of that… hence the purple leather jacket I chose for my signing. And I realise the colours of the revamped Nail Your Novel are actually in the scarf in my photo. 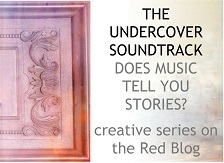 Very timely article, I’m just starting the process of designing a new cover for my short story collection. My main aim at the moment is to make something that is more branded so that future releases can look similar. I look forward to seeing what the new NYN cover looks like.